Spring cleaning? Or maybe you are storing your summer clothes under the bed for winter? As you decide what to keep or throw in your wardrobe, we recommend not just disposing your old clothes into the trash. There are other things you can do with your textiles that will keep you in-style and eco-conscious. 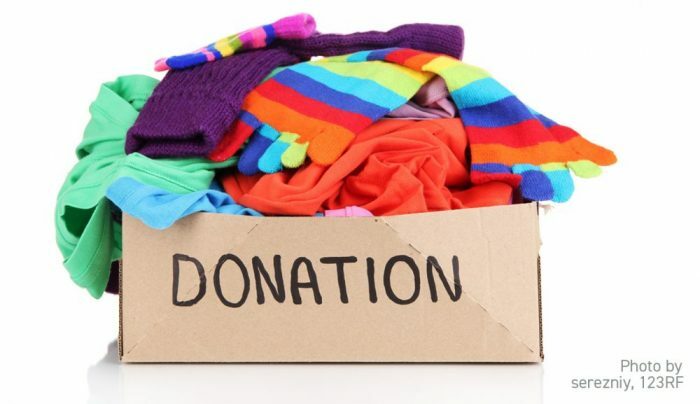 Donate clothing, shoes, and other textiles that are in good condition to your favorite charity. The Montgomery County Volunteer Center and DEP maintain lists of local organizations that accept usable items. You may donate other textiles like linens, fabric and furniture covers to your local animal shelter/rescue, including the Montgomery County Humane Society. Contact your favorite charity to confirm their needs. Use the Frederick Road/Route 355 entrance to the Transfer Station and follow the signs to the Textile Recycling Area (look for the blue boxes located next to the Book Shed). Drop off clothing, shoes, and other textiles at the Shady Grove Processing Facility and Transfer Station. We accept clothing and other textiles that are dry and free of mildew—place materials in a closed plastic bag to keep out moisture that could cause mildew. The Transfer Station partners with a local non-profit that collects, sorts, and makes usable materials available to Goodwill and other thrift stores. Clothing that is in poor condition and no longer wearable are recycled. Items with mildew cannot be reused or recycled—throw those materials away. Old rugs and carpets that cannot be reused may be brought to the Transfer Station as trash. If you receive County-provided curbside trash collection, you may request a bulk trash pickup for rugs and carpets that do not fit in your trash can. Please add smaller rugs to your regular household trash. We do not collect clothing, shoes, and other textiles for donation or recycling as part of County-provided curbside recycling collection. Please do not add these materials to your recycling bin or cart. By donating and/or recycling your old clothes, you will be helping those in need and keeping clothes out of the waste stream.